The learning methodology. Linear learning machines. Kernel-induced feature spaces. Generalization theory. Optimization theory. 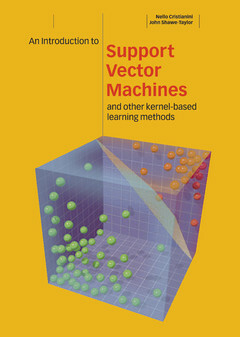 Support vector machines. Implementation techniques. Applications of support vector machines.